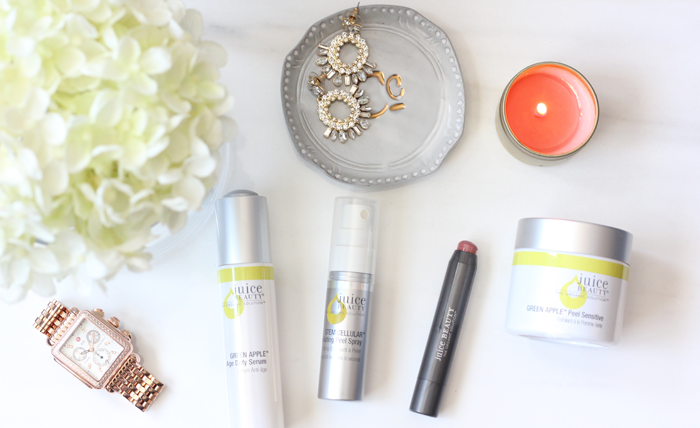 I'm constantly trying new organic beauty products and one organic beauty line that has quickly become one of my favorites is Juice Beauty. 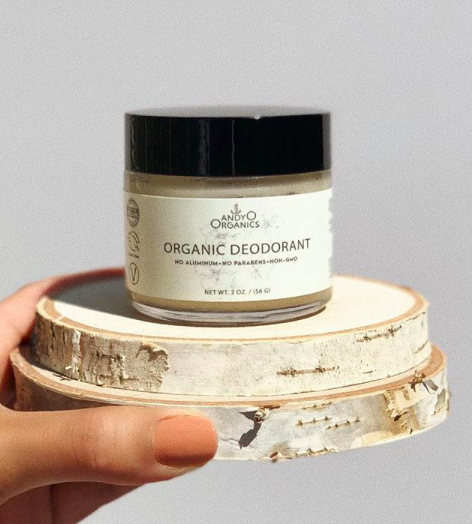 There's so many new information surfacing about potentially harmful ingredients used in cosmetics (many of them filled with synthetic chemicals and pesticides), which is why I love the dedication of this brand to use organic ingredients. I've mentioned this before, but I guess it's always worth repeating, our skin can absorb up to 60% of what we place on it, so it's important we reduce the risks of toxins that might contaminate our bodies. 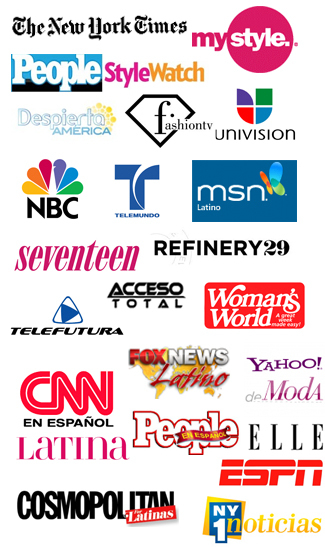 Juice Beauty products are made with a potent base of organic juice, vegetables and plants and best of all they're effective! They also have a new make-up line made with Phyto-Pigments, which is great. 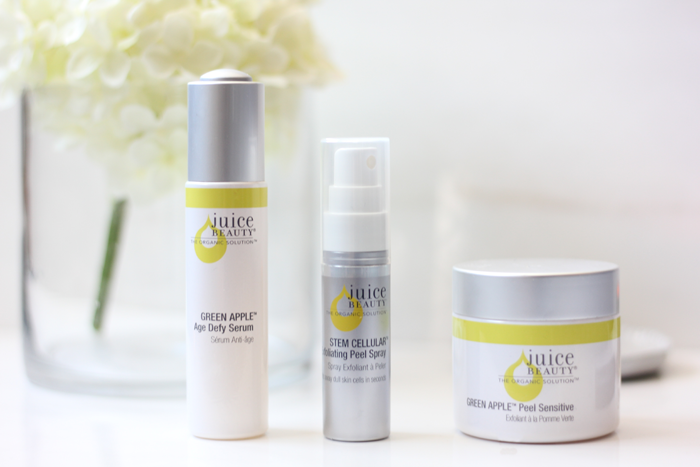 Green Apple Age Defy Serum: You're never too young to start using anti-aging products right? 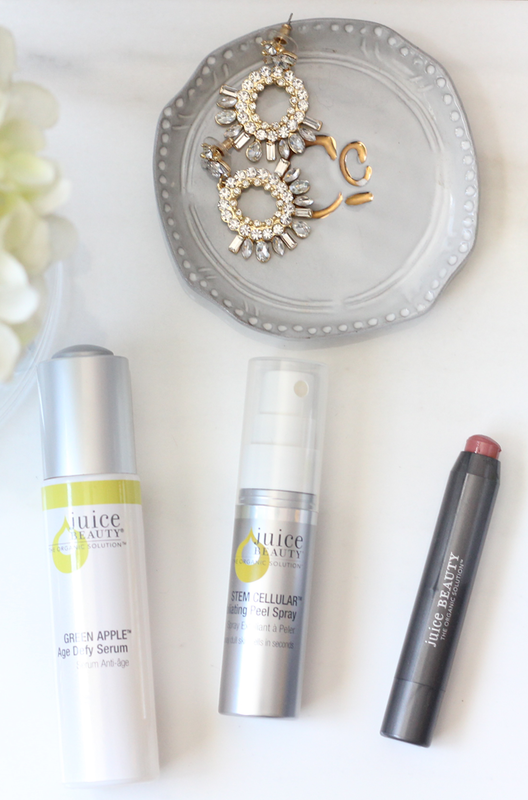 This Green Apple Serum goes on super lightweight and really helps brighten up your skin. It also helped with some of my dark spots from previous breakouts. A little goes a long way and it also smells great. It's made with an age-defying cocktail of Vitamin C, organic apple juice, organic aloe leaf juice, grape seed oil and willow bark to name a few. STEM CELLULAR Exfoliating Peel Spray: I've been trying to exfoliate my skin once a week and have noticed such a difference with this Stem Cellular Exfoliating Peel Spray. It's a plant-based exfoliant which you spray on clean skin, gently exfoliate and then rinse off with warm water. My skin felt super soft afterwards. GREEN APPLE Peel Sensitive: Another great exfoliant is this Green Apple Peel. It helps with discolorations and dark spots. It comes in three formulas: Full-Strength, Sensitive and Blemish Clearing. My skin is pretty sensitive, so I decided to go for the "sensitive" version. It worked perfectly on my skin and was really gentle. It's rich in alpha-hydroxy acids, which stems from the organic apple juice and also has other ingredients such as Vitamin A, organic aloe vera juice and organic lemon juice. The instructions say to use it at night, so make sure you're not using it during the day. Phyto-Pigment Lip Crayon (Venice Shade): I had been searching high and low for an everyday wear lip color and I'm so happy I found this one. 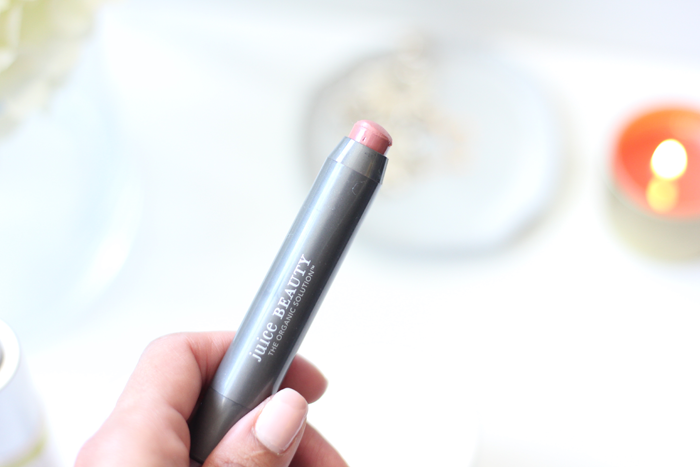 This lip crayon is the perfect hybrid between a lipstick and a lip pencil. My favorite shade is this one called "Venice," which goes great with my olive complexion. It's not too pink and it's not too dark---it's more like a mauve color, which is just what I was looking for. It also comes in more shades too.